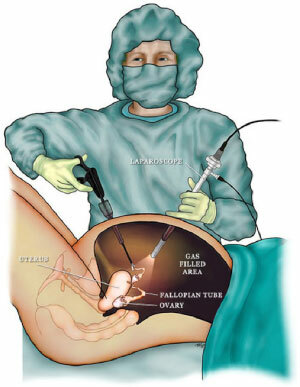 Any surgical procedure (open or laparoscopic) may be associated with unforeseen problems / complications. They may be immediate or sometimes delayed in presentation – but rarely life threatening. 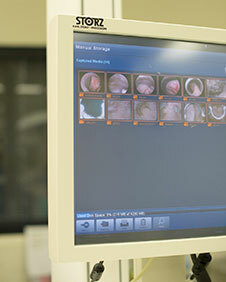 Complications of laparoscopic surgery are not common. The following is a list of the commoner complications but a complete list of complications is not practical in a document of this nature. If you do have any specific complications, concerns that you might have heard of or read of about please discuss them with the gynaecologist. As the procedure is performed under general anaesthetic, anaesthetic complications may occur. Your anaesthetist will discuss this in more detail especially if you have other medical problems. All anaesthesia have some risks, however modern anaesthesia is very safe because of continuing improvement in anesthetic drugs, technique and equipment. The risks of dying purely as a result of an anaesthetic is estimated to be as low as 1 in 185 000. In practical terms this is much safer than air travel, train travel and much less risk than driving to the shop in a car. Bruising or pain in the area where you are injected, dizziness, nausea, sore throat, headaches and itchiness. This can often be treated and will usually pass quickly. These include temporary breathing difficulties, muscle pains, damage to teeth, lip or tongue, temporary difficulty in breathing, bladder problems and awareness. Although these are uncomfortable, they are rarely dangerous and your anaesthetist will ensure that they are treated promptly. These include severe allergic reactions and death, brain damage, kidney and liver failure, lung damage, permanent nerve damage, eye injury, damage to the voice box and blood transfusion reactions. Carbon dioxide from the abdomen can escape into the subcutaneous tissue and this may present with swelling and bruising below the skin. The gas is usually absorbed rapidly and these symptoms will resolve. Very rarely the gas might escape into the blood vessels resulting in a condition called gas embolism. This may cause changes in the heart rhythm and blood pressure but is an extremely rare complication. Any organ or blood vessels might be inadvertently injured during the introduction of gas or the initial placement of instruments into the abdomen. These injuries can usually be treated laparoscopically but a formal laparotomy (requiring a larger incision) might sometimes be necessary. Shoulder pain might be experienced for a day or two following the procedure due to gas under the diaphragm. Other complications of laparoscopic surgery are similar to /and if the procedure were performed via laparotomy (a large abdominal incision). Infection of the wound is rare during laparoscopic surgery. Infection in the pelvis is more uncommon (certainly less than conventional laparotomy). Injury to bladder, bowel, ureter, pelvic organs and blood vessels may occur and can usually be repaired through the laparoscope. Sometimes an open abdominal surgery might need to be performed. Rarely if the damage is not recognized at the time of surgery, later surgery will be needed. Thrombosis of blood in the veins of the legs or pelvis can sometimes occur and if the blood clot breaks off it might travel to the lungs. If you are at high risk of this complication preventative medication may be offered to you. Incisional site hernias may occur. Urinary tract infections might occur – they resolve usually with a few days of antibiotics. A blood transfusion might be necessary if there is significant blood loss during the procedure. Conversion to a laparotomy might be necessary to treat complications as mentioned above or to complete the procedure if this is not possible laparoscopically. This decision is made by the surgeon in the patient’s best interest. As with any procedure requiring a general anaesthetic you should not have anything to eat or drink at least 6 hours before the procedure. It will also help if your bowel is empty before the procedure – therefore have light meals with plenty of fluids before the procedure. It may sometimes be necessary to take medication to clean out the intestine before the procedure.